* Scott Mathieson (Langley, BC) earned 2010 Canadian Baseball Network pitcher of the year honours, while fellow former Langley Blaze Brett Lawrie (Langley, BC) took top CBN offensive player of the year. Indy honours went to Drew Miller (Medicine Hat, Alta.) of the Calgary Vipers and RP Aaron Cotter (Kitimat, BC) of the Sioux Falls Pheasants. 108 Canadians played in Major League Baseball affiliated minor league systems during the 2010 season, 53 in independent ball and 11 in foreign leagues. INF NARODOWSKI, David – Vancouver, BC (.223 batting average, three home runs, 19 RBIs) Single-A South Bend Silver Hawks. LHP DIAMOND, Scott – Toronto, Ont. (4-1, 3.36) Triple-A Gwinnett Braves; (4-6 won-loss record, 3.52 earned run average) Double-A Mississippi Braves. RHP FRANCIS, David – Mississauga, Ont. (0-0, 2.83, four saves) Single-A Rome Brave; (2-3, 4.31) Single-A Myrtle Beach Pelicans. RHP LAFRENIERE, Francois – St. Bruno, Quebec (0-0, 1.93) Rookie-Class Gulf Coast Braves. RHP MARIOTTI, John – Toronto, Ont. (3-6, 4.08, three saves) Single-A Frederick Keys. SS STARR, Sammie – Toronto, Ontario (.242, 0, 6) Single-A Aberdeen Ironbirds. C PELEY, Josue – Montreal, Que. (.291, 0, 10) Single-A Lowell Spinners; ( .000, 0, 0 ) Double-A Portland Sea Dogs; (.179, 0, 6) Single-A West Virginia Power. OF ADDUCI, James – Burnaby, BC (.248, 3, 33) Triple-A Iowa Cubs. C ROBINSON, Chris – Dorchester, Ont. (.248, 2, 26) Triple-A Iowa Cubs. INF DARVIL, Wes – Langley, B.C. (.301, 0, 7) Rookie-Class Arizona League Cubs; (.143, 0, 6) Single-A Boise Hawks. X-INF WAGNER, Bobby – Port Coquitlam, B.C. (.000, 0, 1) Rookie-Class Arizona League Cubs. RHP BRAUN, Ryan – Kitchener, Ont. (1-3, 2.20, 18 saves) Triple-A Charlotte Knights. C ARMSTRONG, Cole – Surrey, BC (.273, 8, 43) Double-A Birmingham Barons. RHP MABEE, Henry – Victoria, BC (4-6, 3.65, two saves) Double-A Birmingham Barons. C BLANKE, Mike – Granby, Que. ( .329, 7, 43 ) Rookie-Class Great Falls Voyageurs. LHP VALIQUETTE, Philippe Alexandre – St. Laurent, Que. (2-1, 4.29, one save) Triple-A Louisville Bats; (2-0, 3.09, four saves) Double-A Carolina Mudcats. RHP AVERY, James – Moose Jaw, Sask. (2-3, 5.63) Double A Carolina Mudcats; (5-3, 2.89) Single-A Lynchburg Hillcats; (0-0, 4.50) Triple-A Louisville Bats. C WIDEMAN, Jordan – Mississauga, Ont. (.210, 0, 6) Single-A Lynchburg Hillcats; (.176, 1, 2) Single-A Dayton Dragons. RHP BRAUN Jason, Matsqui, BC (2-2, 5.26) Single-A Dayton Dragons. OF GARTON, Josh – Guelph, Ont. (.243, 10, 37) Single-A Dayton Dragons. X-RHP JAMES, Mark – Whitby, Ont. (0-0, 0.00) Single-A Dayton Dragons. RHP HENRY, Mike – Sombra, Ont. (0-0, 7.15) Rookie-Class Billings Mustangs; (2-2, 7.62) Rookie-Class Arizona Reds. RHP LOTZKAR, Kyle – Tsawwassen B.C. (2-0, 0.45) Rookie-Class Billings Mustangs; (1-1, 3.33) Rookie-Class Arizona League Reds. LHP CLARKE, Mitch – Kitchener, Ont. (3-1, 2.08, two saves) Rookie-Class Arizona League Reds. R-RHP HILDENBRANDT, Evan – Abbotsford, B.C. (0-0, 7.82) Rookie-Class Arizona League Reds. OF MORRISON, Carter – New Westminster, B.C. ( 333, 0, 0) Rookie-Class Arizona League Reds. C CARLIN, Luke – Aylmer, Que. (.231, 2, 6) Triple-A Columbus Clippers; (.239, 2, 23) Triple-A Indianapolis Indians. R-OF WEGLARZ, Nick – Stevensville, Ont. (.286, 6, 20) Triple-A Columbus Clippers; (.281, 6, 25) Double-A Akron Aeros. C DAVIS, Lars – Grand Prairie, Alta. (.289, 2, 11) Double-A Tulsa Drillers. 2B SAMMY, Jeremiah – Markham, Ont. (.240, 1, 13) Single-A Tri City Dust Devils. C ST. PIERRE, Max – Pintendre, Que. (.300, 5, 22) Triple-A Toledo Mud Hens, (.217, 5, 14) Double-A Erie SeaWolves. INF IORG, Cale – Toronto, Ont. (.242, 1, 9) Triple-A Toledo; (.226, 10, 33) Double-A Erie SeaWolves. X-DH-INF GOSSE, Michael – Pitt Meadows, BC (.226, 0, 13) Single-A Western Michigan Whitecaps. INF LENNERTON, Jordan – Langley, BC (.301, 9, 33) Single-A Lakeland Flying Tigers; (.290, 3, 23) Single-A Western Michigan Whitecaps. R-RHP LEROUX, Chris – Mississauga, Ont. (0-3, 6.59, one save) Triple-A New Orleans Zephyrs; (1-0, 4.50) Rookie-Class, Gulf Coast Marlins; (0-0, 3.38) Single-A Jupiter Hammerheads. R-INF DAYLEG, Terrence – Burnaby, BC (.243, 3, 18) Single-A Greensboro Grasshoppers; (.214, 0, 1) Single-A Jupiter Hammerheads. X-RHP BURTON, T.J. – Ottawa, Ont. (2-3, 5.52, one save) Triple-A Round Rock Express; (3-0, 10.00) Double-A Corpus Christie Hooks. OF VanOSTRAND, Jimmy – Richmond, BC (.244, 3, 44) Double-A Corpus Christie Hooks. LHP GRILLS, Evan – Whitby, Ont. (0-2, 8.76) Rookie-Class Gulf Coast Astros. OF THORMAN, Scott – Cambridge, Ont. (.280, 22, 85) Triple-A Omaha Royals. OF SMITH, Tim – Toronto, Ont. (.306, 9, 50) Double-A Northwest Arkansas Naturals. OF ROMAK, Jamie – London, Ont. (.278, 6, 16) Double-A, Northwest Arkansas Naturals; (.304, 7, 48) Single-A Wilmington Blue Rocks. RHP HODGE, Mitch – Vancouver, B.C. (0-2, 6.44, two saves) Single-A Burlington Bees. OF ALLIMAN, Terrell – Waterloo, Ont. (.244, 4, 23) Single-A Cedar Rapids Kernels; (.282, 0, 3) Rookie-Class Orem Owlz. 3B HUNT, Jeff – Cambridge, Ont. (.240, 2, 7) Rookie-Class Arizona League Dodgers. X-INF ORR, Kyle – Victoria, B.C. (.000, 0, 0) Rookie-Class Arizona League Dodgers. OF STERN, Adam – London, Ont. (.326, 5, 29) Triple-A Nashville Sounds. RHP AXFORD, John – Port Dover, Ont. (3-2, 2.03, two saves) Triple-A Nashville Sounds. INF GREEN, Taylor – Comox, BC (.260, 13, 81) Double-A Huntsville Stars. RHP HENDERSON, James – Calgary, Alta. (4-5, 5.46, seven saves) Double-A Huntsville Stars. OF LAWRIE, Brett – Langley, BC (.285, 8, 63) Double-A Huntsville Stars. INF KJELDGAARD, Brock – London, Ont. (.245, 17, 75) Single-A Brevard County Manatees. RHP BUCCI, Nick – Sarnia, Ont. (6-7, 3.51, one save) Single-A Wisconsin Timber Rattlers. OF DENNIS, Chris – Amherstburg, Ont. (.270, 18, 87) Single-A Wisconsin Timber Rattlers. 3B PACIOREK, Joey – Maple Ridge, BC (.212, 0, 12) Single-A Wisconsin Timber Rattlers; (.308, 0, 8 ) Rookie-Class Arizona Brewers. RHP PERIARD, Alexandre – St. Eustache, Que. (0-0, 0.00) Rookie-Class Helena Brewers; (0-1, 19.29) Rookie-Class Arizona Brewers; (2-4, 4.71) Double-A Huntsville Stars. RHP WAWRZASEK, Stosh – Langley, B.C. (2-4, 5.20) Rookie-Class Helena Brewers. INF DHANANI, Kyle – White Rock, B.C. (.250, 0, 8) Rookie-Class Arizona Brewers: (.167, 0, 1) Single-A Brevard County Manatees; (.132, 0, 2) Single-A Wisconsin Timber Rattlers. R-OF TOSONI, Rene – Coquitlam, BC (.270, 4, 23) Double-A New Britain Rock Cats. C NICKEAS, Mike – Vancouver, B.C. (.214, 0, 0) Triple-A Buffalo Bisons; (.283, 5, 32) Double-A Binghamton Mets. INF MALO, Jonathan – Laval, Que., (.238, 0, 1) Triple-A Buffalo Bisons; (.213, 3, 22) Double-A Binghamton Mets. R-C BLAQUIERE, Jean Luc – Legardeur, Que. (.186, 1, 16) Single-A St. Lucie Mets; (.318, 2, 5) Triple-A Buffalo Bisons. RHP LEDUC, Guillaume – Boucherville, Que. (1-2, 4.32) Single-A Savannah Sand Gnats; (0-0, 0.00) Single-A Brooklyn Cyclones. RHP FORER, Nathan – Brampton, Ont. (0-0, 9.39) Single-A Tampa Yankees; (0-0, 1.99) Single-A Staten Island Yankees. LHP RUTCKYJ, Evan – Windsor, Ont. (0-0, 0.00) Rookie-Class, Gulf Coast League Yankees. OF CONSIGLI, Royce – Welland, Ont. (.340, 1, 31) Rookie-Class, Arizona League Athletics. RHP MATHIESON, Scott – Aldergrove, BC (3-6, 2.80, 26 saves) Triple-A Lehigh Valley Iron Pigs. C SUOMI, John – Etobicoke, Ont. (.245, 1, 5) Triple -A Lehigh Valley Iron Pigs; (.262, 3, 18) Double-A Reading Phillies; (.333, 1, 4) Single-A Clearwater Threshers. RHP KISSOCK, Chris – Fruitvale, B.C. (1-0, 3.86) Double-A Reading Phillies; (6-3, 2.17, four saves) Single-A Clearwater Threshers. RHP AUMONT, Phillippe – Gatineau, Que. (2-5, 4.60, one save) Single-A Clearwater Threshers; (1-6, 7.43) Double-A Reading Phillies. S-OF GILLIES, Tyson – Langley, BC (.500, 0, 1) Rookie-Class Gulf Coast Phillies; (.238, 2, 6) Double-A Reading Phillies. RHP KLEVEN, Colin – Langley, B.C. (0-5, 7.04) Rookie-Class Gulf Coast Phillies. R-RHP MOLLEKEN, Dustin – Regina, Sask. (4-4, 4.15) Double-A Altoona Curve. RHP BOLESKA, Tom – Burlington, Ont. (1-1, 2.73, three saves) Double-A Altoona Curve; . (2-3, 3.67, two saves) Single-A Bradenton Marauders. C SKIRVING, Matt – London, Ont. (.217, 0, 10) Single-A State College Spikes. INF Walker, GOURLEY, Peterborough, Ont. (.168, 1, 22) Single-A State College Spikes, (.125, 0, 0) Single-A Bradenton Marauders. LHP HARDY, Mark – Campbell River, B.C. (0-1, 5.23) Double-A San Antonio Missions; (2-1, 3.00) Single-A Eugene Emeralds; (3-2, 3.06) Rookie-Class, Arizona League Padres; (0-1, 5.79) Single-A Lake Elsinore Storm. 2B BISSON, Chris – Orleans, Ont. (.056, 0, 0) Rookie-Class Arizona League Padres; (.250, 0, 4) Single-A Eugene Emeralds. SS TREMBLAY, Chris – Montreal, Que. ( .308, 1, 23) Single-A Eugene Emeralds; (.240, 0, 0) Single-A Lake Elsinore Storm. OF STROMSMOE, Skyler – Etzikom, Alta. (.195, 0, 12) Single-A Augusta Greenjackets; (.239, 2, 7) Double-A Richmond Flying Squirrels. C SIM, Eric – Abbotsford, B.C. (.108, 0, 1) Rookie-Class Arizona Giants. OF SAUNDERS, Michael – Victoria, BC (.200, 0, 5) Triple-A Tacoma Rainiers. R-LHP BEDARD, Erik – Navan, Ont. (0-0, 0.00) Triple-A Tacoma Rainiers; (0-0, 2.70) Rookie-Class Arizona League Mariners. LHP HESKETH, Jonathan – Langley, BC (3-4, 4.30) Single-A High Desert Mavericks; (3-5, 4.43) Single-A Clinton Lumber Kings. INF MAILLOUX, Kevin – Tecumseh, Ont. (.296, 15, 52) Single-A Everett AquaSox. RHP KINGTON, David – Coquitlam, B.C. (1-2, 4.34, one save) Single-A Batavia Muckdogs. RHP SWINDLE, R.J. – Vancouver, B.C. (2-4, 2.13, two saves) Triple-A Durham Bulls. X-RHP FURDAL, Brad – Ancaster, Ont. (0-2, 8.22) Rookie-Class Princeton Rays. LHP BETTS-ROBINSON, J.R. – Burnaby, BC ( 1-1, 1.38) Single-A Hudson Valley Renegades, ( 0-0, 0.00) Rookie-Class Princeton Rays. HARDEN, Rich – Victoria, B.C. (0-2, 5.19) Triple-A Oklahoma City RedHawks. C/INF FROSTAD, Emerson – Calgary, Alta. (.264, 5, 39) Double-A Frisco Roughriders; (.281, 0, 6) Triple-A Oklahoma City RedHawks. C DEGLAN, Kellin – Langley, B.C. (.159, 1, 4) Single-A Spokane Indians; (.286, 0, 5) Rookie-Class Arizona League Rangers. C VITALE, Carson – Victoria, B.C. (.304, 1, 14) Rookie-Class Arizona Rangers; (.000, 0, 0) Single-A Spokane Indians. 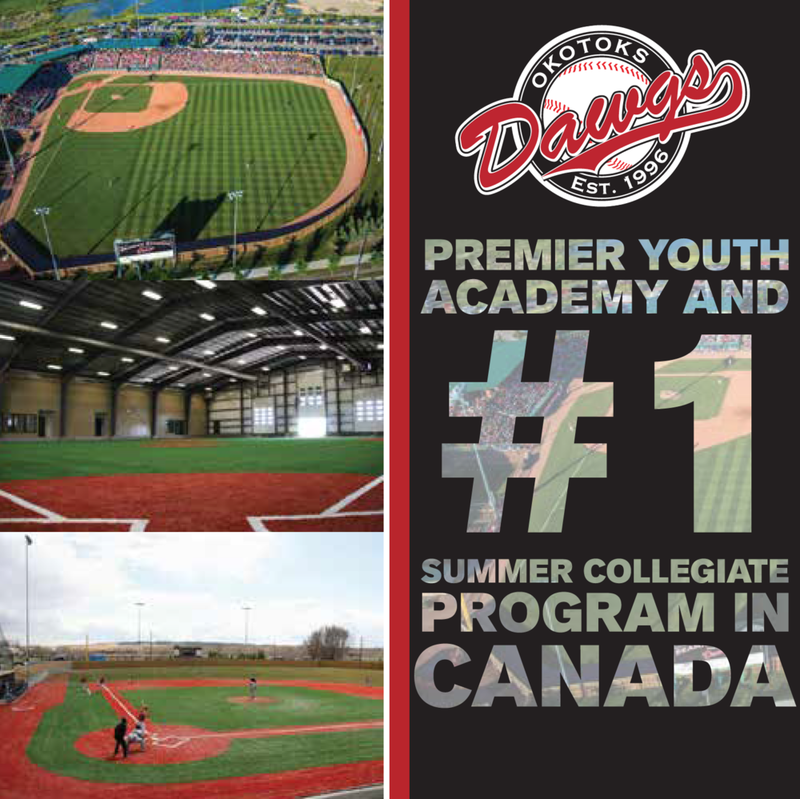 RHP HILL, Shawn – Georgetown, Ont. (2-2, 3.00) Triple-A Las Vegas; (1-0, 0.00) Double-A New Hampshire Fisher Cats; (0-0, 3.60) Single-A Dunedin Blue Jays; ( 3-0, 0.41) Rookie-Class, Gulf Coast Blue Jays. RHP RICHMOND, Scott – North Vancouver, B.C. (1-1, 2.70) Triple A, Las Vegas 51’s; (0-0, 2.70) Double-A New Hampshire; (3-0, 1.29) Single-A Dunedin Blue Jays. 1B-OF LOEWEN, Adam – Surrey, BC (.246, 13, 70) Double-A New Hampshire Fisher Cats. RHP MAGNUSON, Trystan – Vancouver, BC (3-0, 2.58, five saves) Double-A New Hampshire Fisher Cats. OF McELROY, Brad – St. Thomas, Ont. (.330, 4, 22) Single-A Lansing Lugnuts; (.210, 3, 18) Single-A Dunedin Blue Jays. INF FERNANDEZ, Jonathan – Toronto, Ont. (.189, 0, 3) Single-A Auburn Doubledays. R-OF KNECHT, Marcus – Toronto, Ont. (.268, 5, 34) Single-A Auburn Doubledays. INF SCHWARTZ, Randy – King City, Ont. (.191, 1, 5) Single-A Lansing Lugnuts; (.200, 0, 4) Single-A Auburn Doubledays. OF CROUSE, Michael – Port Moody, B.C. (.216, 2, 9) Single-A Lansing Lugnuts; (.344, 4, 20) Rookie-Class Gulf Coast Blue Jays. RHP PURDY, Nick – Grafton, Ont. (3-4, 3.76) Rookie-Class Gulf Coast Blue Jays. OF POMPEY, Dalton – Mississauga, Ont. (.191, 2, 5) Rookie Class Gulf Coast Blue Jays. INF ORR, Peter – Richmond Hill, Ont. (.266, 12, 45) Triple-A Syracuse Chiefs. S-OF GUIEL, Aaron – Langley, B.C. (.199, 16, 41) Yakult Swallows. RHP BOYD, Leon – Victoria, B.C. (8-0, 0.46) DOOR Neptunus. X -OF CROS, Anthony – Kamloops, B.C. (.231, 0, 4 ) Les Barracudas de Montpellier. RHP-INF CROS, Gregory – Kamloops, B.C. (1-0, 2.45; .217, 0, 1) Les Barracudas de Montpellier. INF HORNOSTAJ, Aaron – Waterloo, Ont. (.643, 0, 6) Rouen Huskies. C/RHP TERRANA, Mark – Hamilton, Ont. (0-0, 0.00; .250, 0, 1) Rouen Huskies. RHP ROY, Robin – Montreal, Que. (0-0, 4.50, one save) Rouen Huskies. RHP BRUNET, Kevin – Ottawa, Ont. (0-1, 5.14) Cologne Cardinals. C EMERY, Matt – Ottawa, Ont. (.444, 0 , 4) Gauting Indians. RHP PARSONS, Corey – Prince George, B.C. (1-0, 2.57) Hamburg Steelers. INF GRANATO, Anthony – Toronto, Ont. (.288, 1, 11) T & A San Marino. RHP COTTER, Aaron – Kitimat, B.C. (2-0, 3.16, 25 saves) Sioux Falls Pheasants. RHP CULLEN, Chris – Tecumseh, Ont. (5-6, 4.74) Lincoln Saltdogs. LHP DANIELS, Adam – North Vancouver, BC (6-5, 5.37, three saves) Lincoln Saltdogs. S-LHP PAXTON, James – Ladner, B.C. (1-2, 4.08) Grand Prairie AirHogs. X-INF RECUENCO, Rob – Vancouver, B.C. (.283, 0, 13) Ft Worth Cats. C RICHARDS, Will – Mississauga, Ont. (.319, 0, 15) Sioux Falls Pheasants. C COLLINS, Joel – Richmond Hill, Ont. (.278, 0, 1) York Revolution; (.257, 2, 17) Lake Erie Crushers. LHP DUMESNIL, Bryan – Nanaimo, B.C. (2-3, 5.15, one save) Southern Maryland Blue Crabs. X-RHP McKAE, Dave – Edmonton, Alta. (1-1, 3.00) Southern Maryland Blue Crabs. X-RHP PERKINS, Vince – Victoria, B.C. (0-2, 8.18) York Revolution; (0-6, 4.93) Newark Bears. X-RHP ARNOLD, Adam – St. Thomas, Ont. (3-3, 7.75, one save) Quebec Capitales. X-RHP BELANGER, Steve – Becancour, Que. (0-1, 16.17) Quebec Capitales. OF BOUCHER, Sebastian – Ottawa, Ont. (.336, 11, 75) Quebec Capitales. OF CROS, Anthony – Kamloops, B.C. (.234, 0, 22) Quebec Capitales. C D’AOUST, Patrick – Montreal, Que. (.238, 3, 22) Quebec Capitales. X-INF DENIS-FORTIER, Kevin – Quebec City, Que. (.400, 0, 1) Quebec Capitales. R-INF DESCHENES, Patrick – Quebec City, Que. (.280, 2, 8) Quebec Caiptales. X-RHP DUBE, Steve – St. Georges de Champlain, Que. (0-0, 10.78) Quebec Capitales. X-RHP GREEN, Steve – Longueuil, Que. (0-0, 6.00) Quebec Capitales. C LAFOREST, Pete – Hull, Quebec (.256, 9, 28) Quebec Capitales. ; (.269, 8, 41) Somerset Patriots. R-RHP McDAID, Derek – Barrie, Ont. (0-0, 5.14, one save) Quebec Capitales. RHP McDONALD, Matt – Dartmouth, N.S. (2-5, 6.60) Worcester Tornadoes. C MIMEAULT, Marc – Candiac, Que. (.246, 4, 24) Quebec Capitales. INF NACCARATA, Ivan – Longueuil, Que. (.316, 4, 56) Quebec Capitales. X-RHP RUSOVA, Ivan – Toronto, Ontario (0-0, 30.86) Pittsfield Colonials. RHP SIMARD, Michel – Charlesbourg, Que. (9-6, 5.23) Quebec Capitales. INF WAGNER, Bobby – Port Coquitlam, B.C. (.319, 8, 34) Quebec Capitales. R-LHP WIDEMAN, Aaron – Mississauga, Ont. (4-5, 4.88) New Jersey Jackals. X-RHP BYRON, Greg – Toronto, Ont. (1-0, 18.00) Washington Wild Things; (0-0, 3.38) Quebec Capitales. INF CHAMPAGNIE, Marcel – Bolton, Ontario (.275, 1, 5) Evansville Otters. SS COWAN, Jeff – Scarborough, Ont. (.238, 5, 30) Normal CornBelters. R-RHP DAMCHUK, Mike – Coruuna, Ont. (5-2, 1.25, nine saves) Southern Illinois Miners. INF HELPS, Jeff – Wyoming, Ont. (.247, 0, 19) Kalamazoo Kings. OF RANDALL, Justin – Sarnia, Ont. (.373, 0, 16) Southern Illinois Miners. 1B WALTENBURY, Jonathan – Oshawa, Ont. (.306, 3, 29) Evansville Otters. RHP DUDA, Jeff – Surrey, B.C. (4-3, 3.90) Victoria Seals. RHP JOHNSON, Mike – Sherwood Park, Alta. (2-1, 0.45) Edmonton Capitals; (0-0, 4.69) Yuma Scorpions. RHP KELLY, Scott – Belleville, Ont. (1-2, 5.05) Edmonton Capitals. OF MILLER, Drew – Medicine Hat, Alta. (.363, 21, 94) Calgary Vipers. LHP MORARI, Daniel – Saskatoon, Sask. (3-0, 3.62) Calgary Vipers. OF MORO, Colin – Calgary, Alta. (.294, 6, 50) Victoria Seals. INF O’KRANE, Dillon – Aldergrove, B.C. (.273, 3, 13) Calgary Vipers. S-1B ORR, Kyle – Victoria, B.C. (.136, 0, 1) Victoria Seals. RHP POTE, Lou – Sherwood Park, Alta. (9-3, 3.68) Edmonton Capitales. RHP RIVARD, Reggie – Bonnyville, Alberta (5-1, 3.97) Calgary Vipers. INF ROGELSTAD, Matt – Port Moody, B.C. (.309, 5, 38) Edmonton Capitals. LHP STICKEL, Brant – Veteran, Alta. (0-1, 6.00) Calgary Vipers. INF STRANDLUND, Charlie – Victoria, B.C. (.204, 1, 10) Victoria Seals. R-INF COOPER, David – Edmonton, Alta. (.297, 0, 7) Rockford RiverHawks. X-RHP KNIGINYZKY, Matt – Mississauga, Ont. (1-0, 6.97) Winnipeg Goldeyes. S-LHP LITTLE, Dane – Windsor, Ont. ( 0-0, 1.54) Amarillo Dillas. INF RECUENCO, Rob – Vancouver, B.C. (.391, 0, 41) Amarillo Dillas; (.283, 0, 13 ) Ft Worth Cats. * denotes player has been, or is currently been in the majors. R denotes player is on the disabled list. S denotes player is currently on the inactive, suspended or restricted list. Bold denotes player has spent time in the majors. .340 OF Royce CONSIGLI (Athletics), Welland, Ont. -Rookie-Class Arizona Athletics. .329 C Mike BLANKE (White Sox), Granby, Que., Rookie-Class Great Falls Voyageurs. .326 OF Adam STERN (Brewers), London, Ont. Triple-A Nashville Sounds. .306 OF Tim SMITH (Royals), Toronto, Ont. Double-A Northwest Arkansas Naturals. .296 OF Jamie ROMAK (Royals), London, Ont. Double-A Northwest Arkansas Naturals, Single-A Wilmington Blue Rocks. .295 INF Jordan LENNERTON (Tigers), Langley, B.C. Single-A Lakeland Tigers, Single-A West Michigan White Caps. .289 C Lars DAVIS (Rockies), Grand Prairie, Alta. Double-A Tulsa Drillers. .285 INF Brett LAWRIE (Brewers), Langley, B.C. Double-A Huntsville Stars. .284 OF Nick WEGLARZ (Indians), Stevensville, Ont. Triple-A Columbus Clippers, Double-A Akron Aeros. .280 OF Scott THORMAN (Royals), Cambridge, Ont. Triple-A Omaha Royals. 90 INF Brett LAWRIE (Brewers), Langley, B.C. Double-A Huntsville Stars. 78 OF Scott THORMAN (Royals), Cambridge, Ont. Triple-A Omaha Royals. 72 OF Chris DENNIS (Brewers), Amherstburg, Ont. Single-A Wisconsin Timber Rattlers. 70 1B/OF Adam LOEWEN (Blue Jays) – Surrey, BC, Double-A New Hampshire Fisher Cats. 69 3B Shawn BOWMAN (Blue Jays) – Coquitlam, BC, Double-A New Hampshire Fisher Cats (66), Single-A Dunedin Blue Jays (3). 64 OF Jamie ROMAK (Royals), London, Ont. Double-A Northwes Arkansas Naturals (23), Single-A Wilmington Blue Rocks (41). 63 INF Kevin MAILLOUX (Mariners), Tecumseh, Ont. Single-A Everett AquaSox. 63 INF Pete ORR (Nationals), Richmond Hill, Ont. Triple A Syracuse Chiefs. 62 OF Brad McELROY (Blue Jays), St. Thomas, Ont. Single-A Lansing Lugnuts (37), Single-A Dunedin Blue Jays (25). 60 OF James ADDUCI (Cubs), Burnaby, BC Triple-A Iowa Cubs. 60 INF Brock KJELDGAARD (Brewers), London, Ont. Single-A Brevard County Manatees. 158 INF Brett LAWRIE (Brewers), Langley, BC Double-A Huntsville Stars. 134 OF Scott THORMAN (Royals), Cambridge, Ont. Triple-A Omaha Royals. 130 INF Pete ORR (Nationals), Richmond Hill, Ont. Triple-A Syracuse Chiefs. 128 OF Jamie ROMAK (Royals), London, Ont. Double-A Northwest Arkansas Naturals (37), Single-A Wilmington Blue Rocks (91). 124 INF Jordan LENNERTON (Tigers), Langley, BC Single-A Lakeland Tigers (62), Single-A West Michigan White Caps (62). 123 OF Chris DENNIS (Brewers), Amherstburg, Ont. Single-A Wisconsin Timber Rattlers. 120 INF Brock KJELDGAARD (Brewers), London, Ont. Single-A Brevard County Manatees. 114 INF Shawn BOWMAN (Blue Jays), Coquitlam, BC Double-A New Hampshire Fisher Cats (108), Single-A Dunedin Blue Jays (6). 113 OF Adam LOEWEN (Blue Jays) – Surrey, BC Double-A New Hampshire Fisher Cats. 106 INF Cale IORG (Tigers), Toronto, Ont. Triple-A Toledo Mud Hens (16), Double-A Erie SeaWolves (90). 106 OF Brad McELROY (Blue Jays) St. Thomas, Ont. Single-A Lansing Lugnuts (64), Single-A Dunedin Blue Jays (42). 22 OF Scott THORMAN (Royals), Cambridge, Ont. Triple-A Omaha Royals. 22 INF Shawn BOWMAN (Blue Jays), Coquitlam, BC Double-A New Hampshire Fisher Cats. 18 OF Chris DENNIS (Brewers), Amherstburg, Ont. Single-A Wisconsin Timber Rattlers. 17 INF Brock KJELDGAARD (Brewers), London, Ont., Single-A Brevard County Manatees. 15 INF Kevin MAILLOUX (Mariners), Tecumseh, Ont., Single-A Everett AquaSox. 13 OF Jamie ROMAK (Royals), London, Ont. Double-A Northwest Arkansas Naturals (6), Single-A Wilmington Blue Rocks (7). 13 OF Nick WEGLARZ (Indians), Stevensville, Ont. Triple A Columbus Clippers (6), Double-A Akron Aeros (7). 13 OF Adam LOEWEN (Blue Jays) – Surrey, BC Double-A New Hampshire Fisher Cats. 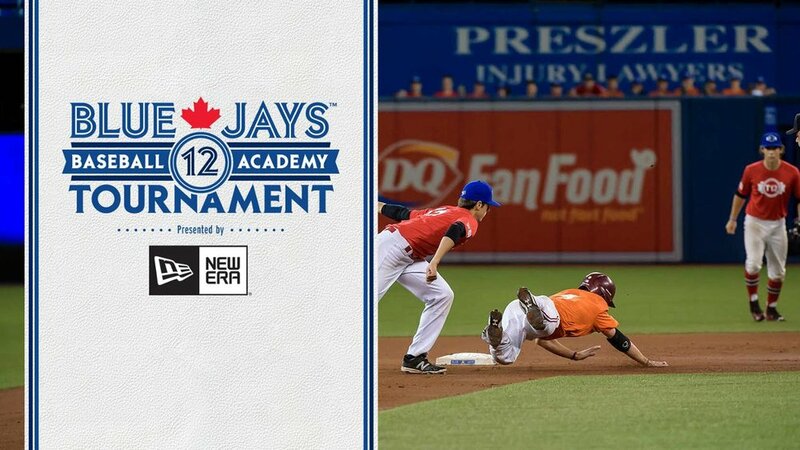 12 INF Pete ORR (Nationals), Richmond Hill, Ont. Triple-A Syracuse Chiefs. 12 INF Jordan LENNERTON (Tigers), Langley, BC Single-A Lakeland Tigers (9), Single-A West Michigan White Caps (3). 11 INF Cale IORG (Tigers), Toronto, Ont., Triple-A Toledo Mud Hens (1), Double-A Erie SeaWolves (10). 10 OF Josh GARTON (Reds), Guelph, Ont., Single-A Dayton Dragons. 10 C Max ST. PIERRE ( Tigers), Pintendre, Que. Triple-A Toledo Mud Hens (5), Double-A Erie SeaWolves (5). 87 OF Chris DENNIS (Brewers), Amherstburg, Ont. Single-A Wisconsin Timber Rattlers. 85 OF Scott THORMAN (Royals), Cambridge, Ont., Triple-A Omaha Royals. 81 INF Taylor GREEN (Brewers), Commox, BC, Double-A Huntsville Stars. 75 INF Brock KJELDGAARD (Brewers), London, Ont., Single-A Brevard County Manatees. 70 INF Shawn BOWMAN (Blue Jays), Coquitlam, BC, Double-A, New Hampshire Fisher Cats. 70 OF Adam LOEWEN (Blue Jays) – Surrey, BC, Double-A New Hampshire Fisher Cats. 64 OF Jamie ROMAK (Royals), London, Ont., Double-A Northwest Arkansas Naturals (16), Single-A Wilmington Blue Rocks (48). 63 INF Brett LAWRIE (Brewers), Langley, BC, Double-A Huntsville Stars. 56 INF Jordan LENNERTON (Tigers), Langley, BC Single-A Lakeland Tigers (33), Single-A West Michigan White Caps (23). 52 INF Kevin MAILLOUX (Mariners), Tecumseh, Ont. – Single-A Everett AquaSox. 50 OF Tim SMITH (Royals), Toronto, Ont., Double-A Northwest Arkansas Naturals. 1.61 RHP Shawn HILL (Blue Jays), Georgetown, Ont. Triple-A Las Vegas 51s, Double-A New Hampshire Fisher Cats, Single-A Dunedin Blue Jays and Rookie-Class, Gulf Coast Blue Jays. 1.98 RHP Scott RICHMOND (Blue Jays), North Vancouver, BC, Triple-A Las Vegas 51’s, Double-A New Hampshire Fisher Cats, Single-A Dunedin Blue Jays. 2.03 RHP Kyle LOTZKAR (Reds), Tsawwassen, BC Rookie-Class Billings Mustangs, Rookie-Class Arizona League Reds. 2.13 RHP R.J. Swindle (Rays), Vancouver, BC, Triple-A Durham Bulls. 2.20 RHP Ryan BRAUN (White Sox), Kitchener, Ont., Triple-A Charlotte Knights. 2.58 RHP Trystan MAGNUSON (Blue Jays), Vancouver, BC, Double-A New Hampshire Fisher Cats. 2.68 RHP Chris KISSOCK (Phillies), Fruitvale, BC, Double-A Reading Phillies, Single-A Clearwater Threshers. 2.80 RHP Scott MATHIESON (Phillies), Aldergrove, BC, Triple-A Lehigh Valley Iron Pigs. 3.35 RHP Tom BOLESKA (Pirates), Burlington, Ont., Double-A Altoona Curve, Single-A Bradenton Marauders. 3.46 LHP Scott DIAMOND (Braves), Toronto, Ont., Triple-A Gwinnett Braves, Double-A Mississippi Braves. 3.51 RHP Nick BUCCI (Brewers), Sarnia, Ont., Single-A Wisconsin Timber Rattlers. 3.51 LHP Mark HARDY (Padres), Campbell River, BC Double-A San Antonio Missions, Single-A Eugene Emeralds, Single-A Lake Elsinore Storm, Rookie-Class Arizona League Padres. 54 LHP Phillippe Alexandre VALIQUETTE (Reds), St. Laurent, Que., Triple-A Louisville Bats (29), Double-A Carolina Mudcats (25). 54 RHP Scott MATHIESON (Phillies), Aldergrove, BC, Triple-A Lehigh Valley Iron Pigs. 52 RHP Ryan BRAUN (White Sox), Kitchener, Ont., Triple-A Charlotte Knights. 49 RHP Henry MABEE (White Sox), Victoria, BC, Double-A Birmingham Barons. 47 RHP Chris KISSOCK (Phillies), Fruitvale, BC, Double-A Reading Phillies (11), Single-A Clearwater Threshers (36). 46 RHP Mitch HODGE (Royals), Vancouver, BC, Single-A Burlington Bees. 46 RHP Trystan MAGNUSON (Blue Jays), Vancouver, BC, Double-A New Hampshire Fisher Cats. 45 RHP James HENDERSON (Brewers), Calgary, Alta., Double-A Huntsville Stars. 42 RHP Tom BOLESKA (Pirates), Burlington, Ont., Double-A Altoona Curve (12), Single-A Bradenton Marauders (30). 41 RHP John MARIOTTI (Orioles), Toronto, Ont., Single-A Frederick Keys. 40 RHP R.J. Swindle (Rays), Vancouver, BC, Triple-A Durham Bulls. 158.2 LHP Scott DIAMOND (Braves), Toronto, Ont., Triple-A Gwinnett Braves (56.1), Double-A Mississippi Braves (102.1). 127.2 LHP Jon HESKETH (Mariners), Langley, BC, Single-A High Desert Mavericks (60.2), Single-A Clinton Lumber Kings (67.0). 122.0 RHP Phillippe AUMONT (Phillies), Gatineau, Que., Single-A Clearwater Threshers (72.1), Double-A Reading Phillies (49.2). 120.2 RHP Nick BUCCI (Brewers), Sarnia, Ont., Single-A Wisconsin Timber Rattlers. 111.1 RHP James AVERY (Reds), Moose Jaw, Sask., Double-A Carolina Mudcats (40.0), Single-A Lynchburg Hillcats (65.1), Triple-A Louisville Bats (6.0). 86.1 RHP Henry MABEE (White Sox), Victoria, BC, Double-A Birmingham Barons. 77.1 RHP Chris KISSOCK (Phillies), Fruitvale, BC, Double-A Reading Phillies (23.1) and Single-A Clearwater Threshers (54.0). 75.1 RHP Tom BOLESKA (Pirates), Burlington, Ont. Double-A Altoona Curve (26.1), Single-A Bradenton Marauders (49.0). 75.0 RHP John MARIOTTI (Orioles), Toronto, Ont., Single-A Frederick Keys. 74.1 LHP Mark HARDY (Padres), Campbell River, BC, Double-A San Antonio Missions (10.1), Single-A Eugene Emeralds (27.0), Single-A Lake Elsinore Storm (4.2), Rookie-Class, Arizona League Padres (32.1). 73.1 RHP Trystan MAGNUSON (Blue Jays), Vancouver, BC, Double-A New Hampshire Fisher Cats. 8 LHP Scott DIAMOND (Braves), Toronto, Ont. Triple-A Gwinnett Braves (4), Double-A Mississippi Braves (4). 8 RHP James AVERY (Reds), Moose Jaw, Sask., Double-A Carolina Mudcats (2), Single-A Lynchburg Hillcats (6). 7 RHP Chris KISSOCK (Phillies), Fruitvale, BC, Double-A Reading Phillies (1), Single-A Clearwater Threshers (6). 6 RHP Nick BUCCI (Brewers), Sarnia, Ont., Single-A Wisconsin Timber Rattlers. 6 RHP Shawn HILL (Blue Jays), Georgetown, Ont., Triple-A Las Vegas 51s (2), Double-A New Hampshire Fisher Cats (1), Rookie-Class Gulf Coast Blue Jays (3). 5 RHP T.J. BURTON (Astros), Ottawa, Ont., Double-A Corpus Christi Hooks (3), Triple-A Round Rock Express (2). 5 LHP Mark HARDY (Padres), Campbell River, BC, Single-A Eugene Emeralds (2), Rookie-Class Arizona Padres (3). 4 RHP Henry MABEE (White Sox), Victoria, BC, Double-A Birmingham Barons. 4 LHP Phillippe Alexandre VALIQUETTE (Reds), St. Laurent, Que., Triple A, Louisville Bats (2), Double-A Carolina Mudcats (2). 4 RHP James HENDERSON (Brewers), Calgary, Alta., Double-A Huntsville Stars. 4 RHP Dustin MOLLEKEN (Pirates), Regina, Sask., Double-A Altoona Curve. 4 RHP Scott RICHMOND (Blue Jays), North Vancouver, BC, Triple-A Las Vegas 51s (1), Single-A Dunedin Blue Jays (3). 26 RHP Scott MATHIESON (Phillies), Aldergrove, BC, Triple-A Lehigh Valley Iron Pigs. 18 RHP Ryan BRAUN (White Sox), Kitchener, Ont., Triple-A Charlotte Knights. 7 RHP James HENDERSON (Brewers), Calgary, Alta., Double-A Huntsville Stars. 5 LHP Phillippe Alexandre VALIQUETTE (Reds), St. Laurent, Que., Triple-A Louisville Bats (1), Double-A Carolina Mudcats (4). 5 RHP Tom BOLESKA (Pirates), Burlington, Ont., Double-A Altoona Curve (3), Single-A Bradenton Marauders (2). 5 RHP Trystan MAGNUSON (Blue Jays), Vancouver, BC, Double-A New Hampshire Fisher Cats. 4 RHP David FRANCIS (Braves), Mississauga, Ont., Single-A Myrtle Beach Pelicans. 4 RHP Chris KISSOCK (Phillies), Fruitvale, BC, Single-A Clearwater Threshers. 3 RHP John MARIOTTI (Orioles), Toronto, Ont., Single-A Frederick Keys. 2 RHP Henry MABEE (White Sox), Victoria, BC, Double-A Birmingham Barons. 2 LHP Mitch CLARKE (Reds), Kitchener, Ont., Rookie-Class Arizona League Reds. 2 RHP Mitch HODGE (Royals), Vancouver, BC, Single-A Burlington Bees. 2 RHP R.J. SWINDLE (Rays), Vancouver, BC, Triple-A Durham Bulls. .346 INF Rob RECUENCO, Vancouver, BC, Amarillo Dillas – United League, Ft. Worth Cats – American Association. .336 OF Sebastian BOUCHER, Ottawa, Ont., Quebec Capitales – Can Am League. .319 INF Bobby WAGNER, Port Coquitlam, BC, Quebec Capitales – Can Am League. .315 INF Ivan NACCARATA, Longueuil, Que., Quebec Capitales – Can Am League. .309 INF Matt ROGELSTAD, Port Moody, B.C., Edmonton Capitals – Golden League. .306 1B Jonathan WALTENBURY, Oshawa, Ont., Evansville Otters – Frontier League. .297 INF David COOPER, Edmonton, Alta., Rockford Riverhawks – Northern League. .288 INF Anthony GRANATO, Toronto, Ont., San Marino T & A – Series A Italian League. 71 INF Rob RECUENCO, Vancouver, BC, Amarillo Dillas – United League (44), Ft. Worth Cats – American Association (27). 68 INF Ivan NACCARATA, Longueuil, Que., Quebec Capitales – Can Am League. 66 OF Colin MORO, Calgary, Alta., Victoria Seals – Golden League. 64 OF Drew MILLER, Medicine Hat, Alta., Calgary Vipers – Golden League. 58 OF Sebastian BOUCHER, Ottawa, Ont., Quebec Capitales – Can Am League. 49 SS Jeff COWAN, Toronto, Ont., Normal CornBelters – Frontier League. 43 C Patrick D’Aoust, Montreal, Que., Quebec Capitales – Can Am League. 39 INF Matt ROGELSTAD, Port Moody, BC, Edmonton Capitals – Golden League. 37 C/DH Pete LAFOREST, Hull, Que., Quebec Capitales – Can Am League (18) and Somerset Patriots – Atlantic League (19). 33 OF Anthony CROS, Kamloops, BC, Quebec Capitales – Can Am League. 33 OF Aaron GUIEL, Langley, BC, Yakult Swallows – Japanese Central League. 32 INF Jeff HELPS, Wyoming, Ont., Kalamazoo Kings – Frontier League. 32 INF Anthony GRANATO, Toronto, Ont., San Marino T & A – Series A, Italian League. 124 INF Ivan NACCARATA, Longueuil, Que., Quebec Capitales – Can Am League. 116 OF Drew MILLER, Medicine Hat, Alta., Calgary Vipers – Golden League. 106 INF Rob RECUENCO, Vancouver, BC, Amarillo Dillas – United League (70), Ft. Worth Cats – American Association (36). 87 OF Sebastian BOUCHER, Ottawa, Ont., Quebec Capitales – Can Am League. 86 OF Colin MORO , Calgary, Alta., Victoria Seals – Golden League. 78 SS Jeff COWAN, Toronto, Ont., Normal CornBelters – Frontier League. 74 C/DH Pete LAFOREST, Hull, Que., Quebec Capitales – Can Am League (42). Somerset Patriots – Atlantic League (32). 62 C Joel COLLINS, Richmond Hill, Ont., York Revolution – Atlantic League (5), Lake Erie Crushers – Frontier League (57). 59 INF Bobby WAGNER, Port Coquitlam, BC, Quebec Capitales – Can Am League. 56 INF Jeff HELPS, Wyoming, Ont., Kalamazoo Kings – Frontier League. 21 OF Drew MILLER, Medicine Hat, Alta., Calgary Vipers – Golden League. 17 C/DH Pete LAFOREST, Hull, Que., Quebec Capitales – Can Am League (9), Somerset Patriots – Atlantic League (8). 16 OF Aaron GUIEL, Langley, BC, Yakult Swallows – Japanese Central League. 11 OF Sebastian BOUCHER, Ottawa, Ont., Quebec Capitales – Can Am League. 8 INF Bobby WAGNER, Port Coquitlam, BC, Quebec Capitales – Can Am League. 6 OF Colin MORO, Calgary, Alta., Victoria Seals – Golden League. 5 SS Jeff COWAN, Toronto, Ont., Normal CornBelters – Frontier League. 5 INF Matt ROGELSTAD, Port Moody, BC, Edmonton Capitals – Golden League. 4 INF Ivan NACCARATA, Longueuil, Que., Quebec Capitales – Can Am League. 94 OF Drew MILLER, Medicine Hat, Alta., Calgary Vipers – Golden League. 75 OF Sebastian BOUCHER, Ottawa, Ont., Quebec Capitales – Can Am League. 69 C/DH Pete LAFOREST, Hull, Que., Quebec Capitales – Can Am League (28), Somerset Patriots – Atlantic League (41). 56 INF Ivan NACCARATA, Longueuil, Que., Quebec Capitales – Can Am League. 54 INF Rob RECUENCO, Vancouver, BC, Amarillo Dillas – United League (41), Ft. Worth Cats – American Association (13). 50 OF Colin MORO, Calgary, Alta., Victoria Seals – Golden League. 41 OF Aaron GUIEL, Langley,. BC. Yakult Swallows – Japanese Central League. 38 INF Matt ROGELSTAD, Port Moody, BC, Edmonton Captitals – Golden League. 30 SS Jeff COWAN, Toronto, Ont., Normal CornBelters – Frontier League. 0.46 RHP Leon BOYD, Victoria, BC, DOOR Neptunus – Dutch Premier League. 1.41 RHP Andrew ALBERS, North Battleford, Sask., Quebec Capitales – Can Am League. 3.07 RHP Karl GELINAS, Ibervilee, Que., Quebec Capitales – Can Am League..
3.68 RHP Lou POTE, Sherwood Park, Alta., Edmonton Capitals – Golden League. 3.90 RHP Jeff DUDA, Surrey, BC, Victoria Seals – Golden League. 3.97 RHP Reggie RIVARD, Bonnyville, Alta., Calgary Vipers – Golden League. 4.74 RHP Chris CULLEN, Tecumseh, Ont., Lincoln Saltdogs – American Association. 4.88 LHP Aaron WIDEMAN, Mississauga, Ont., New Jersey Jackals – Can Am League. 49 LHP Bryan DUMESNIL, Nanaimo, BC, Southern Maryland Blue Crabs – Atlantic League. 43 RHP Adam DANIELS, North Vancouver, BC, Lincoln Saltdogs – American Association. 40 RHP Andrew ALBERS, North Battleford, Sask., Quebec Capitales – Can Am League. 37 RHP Aaron COTTER, Kitimat, BC, Sioux Falls Pheasants – American Association. 31 RHP Scott KELLY, Belleville, Ont., Edmonton Capitals – Golden League. 30 RHP Mike DAMCHUK, Corunna, Ont., Southern Illinois Miners – Frontier League. 27 RHP Vince PERKINS, Victoria, BC. York Revolution – Atlantic League (13), Newark Bears – Atlantic League (14). 26 RHP Adam ARNOLD, St. Thomas, Ont., Quebec Capitales – Can Am League. 24 RHP Chris CULLEN, Tecumseh, Ont., Lincoln Saltdogs – American Association. 22 RHP Lou POTE, Sherwood Park, Alta., Edmonton Capitlas – Golden League. 120.0 RHP Lou POTE, Sherwood Park, Alta., Edmonton Capitals – Golden League. 106.1 RHP Chris CULLEN, Tecumseh, Ont., Lincoln Saltdogs – American Association. 88.0 RHP Karl GELINAS, Iberville, Que., Quebec Capitales – Can Am League..
75.0 RHP Vince PERKINS, Victoria, BC, York Revolution – Atlantic League (22.0), Newark Bears – Atlantic League (53.0). 64.2 RHP Jeff DUDA, Surrey, BC, Victoria Seals – Golden League. 59.1 RHP Leon BOYD, Victoria, BC, DOOR Neptunus – Dutch Premier League. 59.0 LHP Aaron WIDEMAN, Mississauga, Ont., New Jersey Jackals – Can Am League. 57.2 RHP Andrew ALBERS, North Battleford, Sask., Quebec Capitales – Can Am League. 56.2 RHP Reggie RIVARD, Bonnyville, Alta., Calgary Vipers – Golden League. 50.1 LHP Adam DANIELS, North Vancouver, BC, Lincoln Saltdogs – American Association. 9 RHP Lou POTE, Sherwood Park, Alta., Edmonton Capitals – Golden League. 8 RHP Leon BOYD, Victoria, BC, DOOR Neptunus – Dutch Premier League. 6 LHP Adam DANIELS, North Vancouver, BC, Lincoln Saltdogs – American Association. 5 RHP Chris CULLEN, Tecumseh, Ont., Lincoln Saltdogs – American Association. 5 RHP Mike DAMCHUK, Corunna, Ont., Southern Illinois Miners – Frontier League. 5 RHP Reggie RIVARD, Bonnyville, Alta., Calgary Vipers – Golden League. 4 RHP Karl GELINAS, Iberville, Que., Quebec Capitales – Can Am League..
4 LHP Aaron WIDEMAN, Mississauga, Ont., New Jersey Jackals – Can Am League. 4 RHP Jeff DUDA, Surrey, BC, Victoria Seals – Golden League. 25 RHP Aaron COTTER, Kitimat, BC, Sioux Falls Pheasants – American Association. 17 RHP Andrew ALBERS, North Battleford, Sask., Quebec Capitales – Can Am League. 9 RHP Mike DAMCHUK, Corunna, Ont., Southern Illinois Miners – Frontier League. 3 LHP Adam DANIELS, North Vancouver, BC. Lincoln Saltdogs – American Association. 1 LHP Bryan DUMESNIL, Nanaimo, BC, Southern Maryland Blue Crabs – Atlantic League. 1 RHP Derek McDAID, Barrie, Ont., Quebec Capitales – Can Am League.